Emily has been working at the Bupa Centre at Solihull since 2012. Her interests include postural assessment and conditions experienced by those working in office environments, especially of the spine. She is an advocate of maximising health and wellness through prescribed exercise for strength and flexibility. 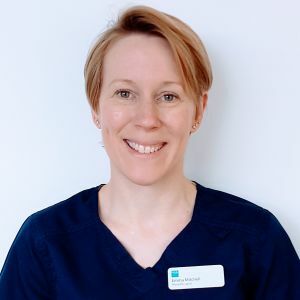 She uses a wide range of treatments, including acupuncture, and is a member of the Acupuncture Association of Chartered Physiotherapists. Emily is also a qualified Pilates teacher and was trained by the APPI. She enjoys teaching beginner to advanced levels Pilates, and can teach antenatal and postnatal Pilates. Outside of work Emily is a keen outdoor pursuit enthusiast, and enjoys climbing and cycling.